Calling Campaigns can be created by your Administrator. They are used to initiate a call based on a contact list. 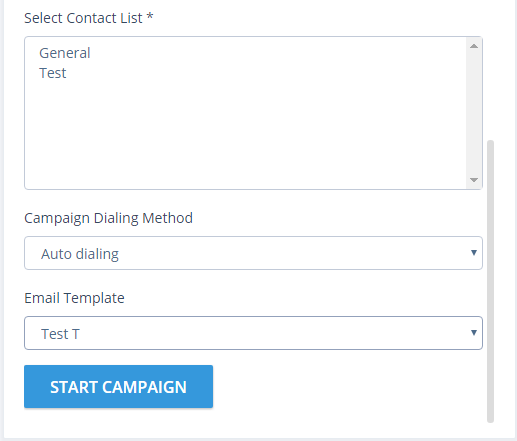 After creating a contact list you will be able to start calling campaigns. 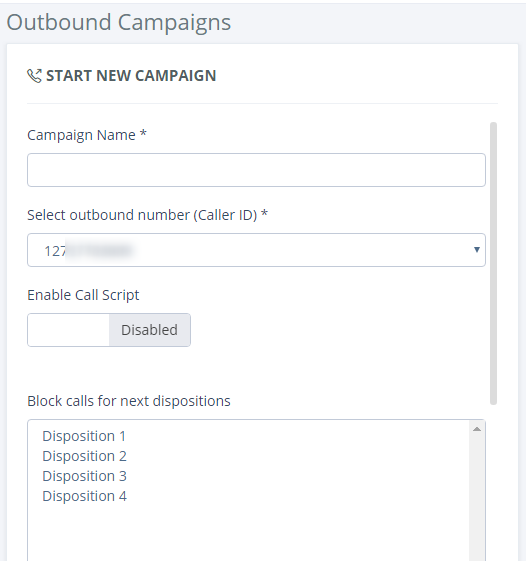 Name your campaign, select outbound number in case you have more than one, enable a Call Script (if you need one). Using calling campaigns you have the ability to Block Calls for chosen dispositions. The system won’t let you dial a contact with particular dispositions from the last call made to that contact. Then you need to select a contact list and finally choose a dialing method. You can select auto dialing (the system will dial numbers from the contact list automatically one by one) or manual dialing (you will need to hit ‘Dial’ every time to make a call). 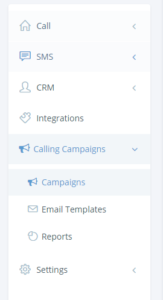 Also you can select an Email Template so while campaign you will have the ability to send an email to the contact within Nectar Desk interface. After that press ‘Start campaign’ and it will start dialing contacts. Your campaign has been started. During campaign you can edit contact details if needed, add notes and see notes you added during previous campaigns. It’s possible to pause campaign or end it at any time. After you end your campaign you will see its details. You can resume campaign by clicking on green ‘Resume campaign’ button. 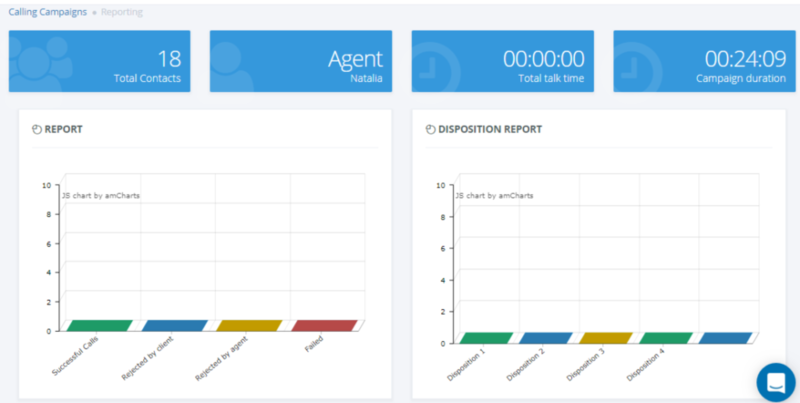 By clicking blue button reports you will see total contacts dialed, agent who started campaign, total talk time, campaign duration, the amount of successful and failed calls, calls rejected by client and by agent. There is also a Disposition report.